The clocks have sprung forward and the promise of sunnier days is in the air, so it’s the perfect time to do some spring cleaning in your wardrobe. Send your sweaters into storage, and start thinking about lightweight separates that will see you through the warmer months ahead. 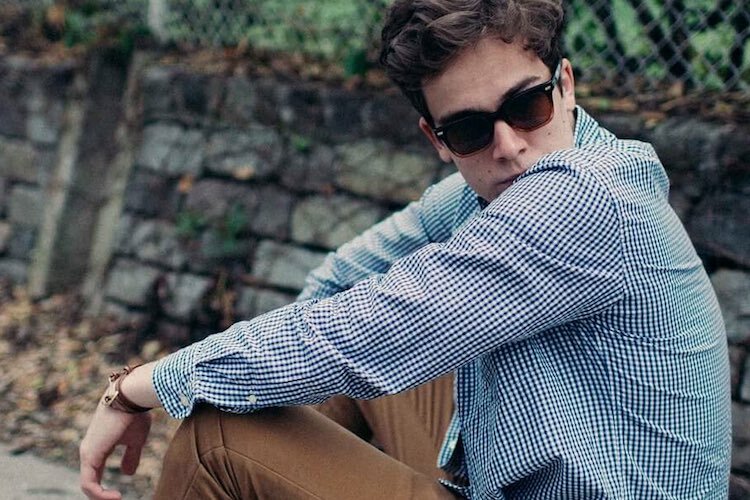 Here are our must-buy items that will help you create the perfect men’s spring wardrobe. A simple souvenir bomber is the perfect coat for warmer weather. While last year’s styles were loud and proud, this year bombers are minimalist and muted. Go for shades of khaki or stone for maximum versatility, and choose a durable fabric that will see you through festival weekends and a few nights out. If you're going to take the plunge and buy a new pair of jeans, you may as well go for the originals. It's hard to fault an absolute classic, but the lighter fabric of the Levi's 512 jeans allows for an easier fit, while still being durable enough to keep out the cold. Converse's iconic All Stars are the ultimate 'safe bet' for spring. They are super-comfortable, let your feet breathe, and literally go with anything. If you plan on wearing them with jeans, choose a dark colour such as black or navy. For shorts or khakis, mix it up with bold red Converse. According to the stylists, 'khaki is the new black’' so you can expect to see plenty of khaki options across the high street this year. This button-down khaki shirt is an easy way to adopt the trend without going full-on safari – the neutral colour will help you to transition away from your dark winter wardrobe and towards a lighter palate just in time for summer. The preppy look isn't going away anytime fast, and the polo shirt is set to be this year’s hardest-working piece of clothing. Layer under a sweater or shirt, or wear it with khakis or shorts on those extra-hot days. Invest in a classic Ralph Lauren polo and you will get your money’s worth year after year. 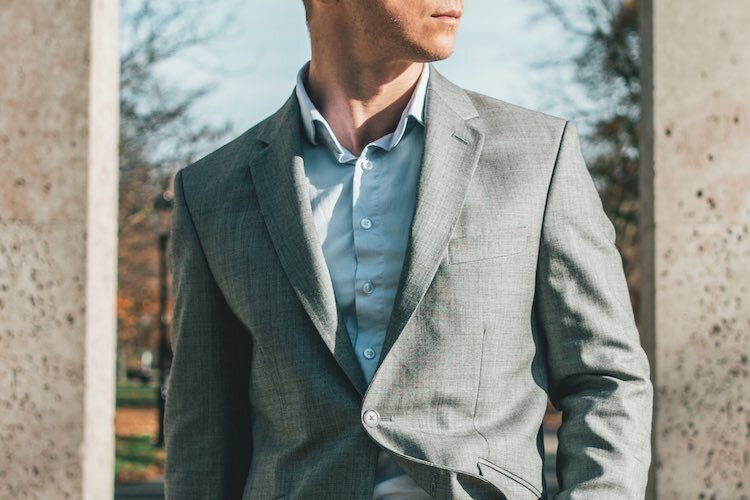 It can be a challenge to dress for the office as the temperature starts to rise, and that's why every man needs to have a springtime blazer in their wardrobe. Choose a skinny cut for a more modern silhouette like this blazer by Ted Baker. You'll also benefit from opting for a breathable fabric such as jersey or linen. 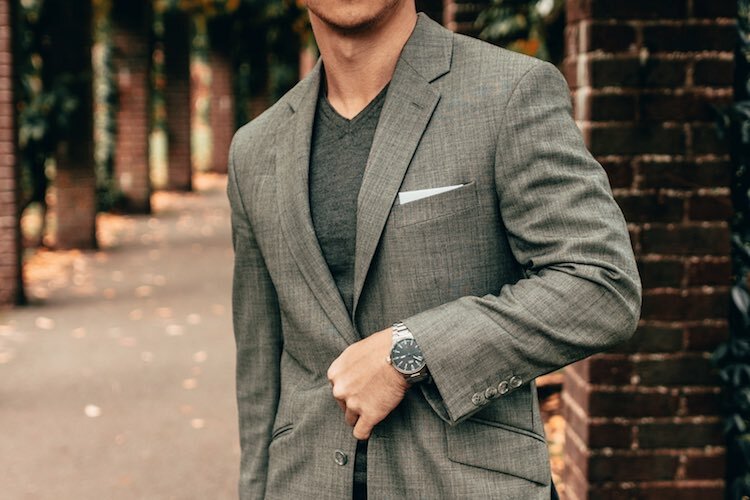 The perfect blazer will be easily layered up or down while adding an extra bit of polish to your wardrobe. The ultimate 'wear anywhere' boot, chukkas are lightweight, stylish and incredibly versatile. Dress them up or down with joggers, jeans or tailored trousers during the spring and summer months. In the winter, these black leather Clarks chukka boots will work just as well with the rest of your wardrobe.